Fill a medium size pot halfway with water. Heat water of high heat until water is simmering. Add chicken breasts and turn water to medium. Cover pot and cook chciken breasts for approx. 20 minutes of just cooked throughout. (I like to cook the chicken in water because it keeps the chicken moist). Place chicken breasts in a baking dish. In a bowl mix toegether tomato puree, basil, oregano and red pepper. Pour red suace over chicken. 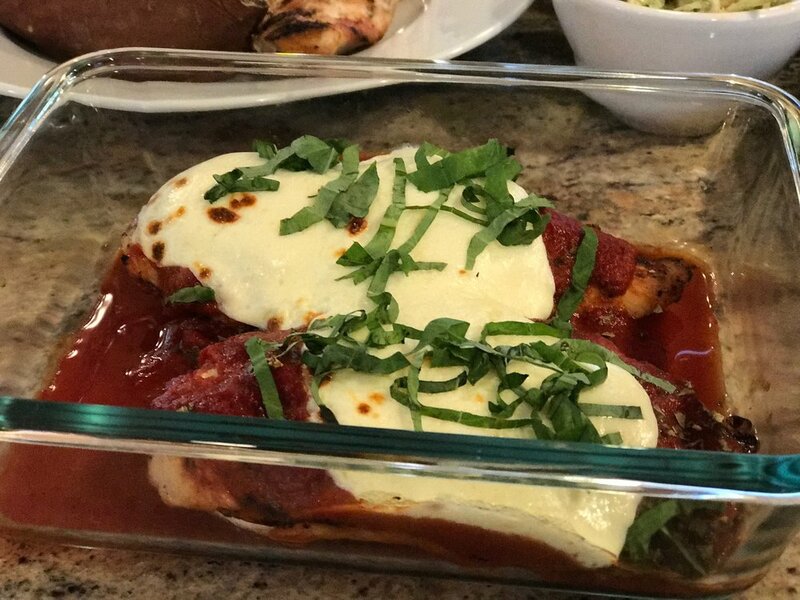 Cover Chicken with mozzerella cheese and broil n low until cheese in melted. Sprinkle parmesan chhese and basil over chicken and serve.